Skin cancer is the malignancy in the different types of cells of the outer covering of the human body, the skin. The types of cells in the skin in which cancer may develop are the basal cells, squamous cells or the melanocytes (melanin-producing cells). The basal cell cancer and squamous cell cancer are classified as non-melanoma skin cancer, while the cancer in melanocytes is called melanoma. Non-melanoma is more common and easy to treat while melanoma is rare but a dangerous form. Melanoma form often spreads to other parts of the body, if not diagnosed early. It may also arise from pre-cancerous moles present on the body. Skin cancer generally forms on face, head, neck, hands, and arms. It is mostly caused by exposure to the sun. The Ultra-Violet (UV) radiations from the sun damage the DNA of the skin cells which may gradually develop into cancer. The common symptoms of skin cancer are the presence of sore or ulcer that does not heal within a month, scaly and itchy brown patch on the skin, moles whose appearance change and appearance of the white & waxy lump. The risk factors for skin cancer besides exposure to the sun include having light skin and freckles, old age, severe sunburns, family history, presence of a number of large and thick moles, and using UV tanning beds. People with certain skin diseases such as Xeroderma pigmentosum, Psoriasis are at a greater risk of developing skin cancer. Weak immunity and exposure to carcinogens like coal, tar, arsenic, etc and radiations like radium also increase the risk of skin cancer. Depending upon the severity and type of skin cancer, the treatment strategy is adopted. Chemotherapy (topical or oral), radiotherapy, surgery or immune-therapy is common treatment options. The treatments like chemotherapy and radiotherapy have many side-effects such as skin irritation, blistering, change in skin colour, acne, increased sensitivity to the sun, hair loss, etc. In the case of oral chemotherapy, the side-effects like fatigue, nausea, increased risk of infection are common. The natural remedies are considered to avoid these side-effects and to improve the effectiveness of treatment for skin cancer. Owing to its wide range of medicinal properties, turmeric is a good candidate for the natural remedy of skin cancer. Turmeric, a popular spice used for its flavour and colour, is obtained from the plant Curcuma longa. It belongs to the family Zingiberaceae. Besides its culinary application, it is used as a dyeing agent and in cosmetics. It is also a very important ingredient for traditional medicine. Turmeric has long been used as an analgesic and antiseptic. It possesses a number of other medicinal properties that have attracted a lot of research in recent times. The properties such as antioxidant, anti-inflammatory, immune-modulatory, and anti-cancer are present in turmeric by the virtue of its bioactive compounds. The most bio-active compound identified in turmeric is the curcuminoids, especially curcumin. The other compounds that makeup turmeric are volatile oils, α-linolenic acid, omega fatty acids, Vitamins (B&C), minerals (Sodium, Potassium, Iron etc), proteins, dietary fibres, carbohydrates etc. The anti-cancer property of turmeric is of immense value against various types of cancer. The potential of turmeric against skin cancer is great, starting from the prevention to the treatment. Moreover, it has additional benefits against the side-effects of conventional treatment methods. The abnormalities in the cells of skin due to various factors lead to the development of cancer. The treatment involves the killing of these cells by various therapies which work by interfering in many molecular pathways. Turmeric is a natural agent which works in the same way. Many studies have highlighted its ability to induce death in the cancer cells. The role of oxidative stress and pro-inflammatory factors is central to the development of skin cancer. Curcumin, the chief component of turmeric is known to induce apoptosis or cell death in both the types of skin cancer, i.e. non-melanoma and melanoma. In the case of human basal cell carcinoma (a non-melanoma skin cancer), curcumin induces apoptosis by increasing levels of p53 protein (a pro-apoptotic protein). In the case of melanoma cells, curcumin-induced cell death by increasing the expressions of various pro-apoptotic factors like Bax, p38, and p53. It also inhibited the activation of anti-apoptotic factors like Bcl-2 and Mcl-1. Curcumin is also known to modulate microRNAs which are involved in cell cycle regulation and apoptosis. It means turmeric can be used in the treatment of skin cancer. It induces apoptosis in both the non-melanoma and melanoma cells by interfering in various molecular pathways. The development of blood vessels or angiogenesis is involved in the growth of skin cancer, like the other cancers. The various angiogenic factors such as, VEGF (Vascular endothelial growth factor) are found to be elevated in the tumours. 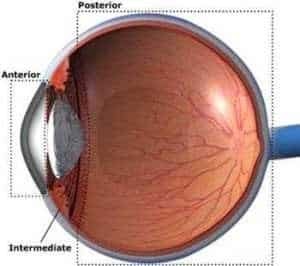 VEGF is considered to play a very important role in the development of skin cancer. Inhibition of angiogenesis is seen as an effective way of treating skin cancer. The turmeric compound, curcumin is a potent inhibitor of angiogenesis. It inhibits various molecules of the signal transduction pathways involved in the angiogenesis process. Curcumin application on squamous cell carcinoma is found to result in reduced tumour progression by inhibition of MTOR pathway (involved in cancer proliferation by regulating cell cycle). Its ability to prevent the invasion of cancer is also evident in melanoma. Curcumin suppressed proteins involved in Akt, MTOR and P70S6K signalling pathways that are involved in cancer progression. It means application of turmeric can inhibit angiogenesis and suppress tumour progression. The inhibition of various signalling pathways involved in angiogenesis and tumour progression by curcumin is responsible for the effectiveness of turmeric in this. The role of the immune system is integral to the development of skin cancer. A suppressed immune system is known to be related to the skin cancer. UV exposure leads to dysfunction of certain cells of the immune system like T cells, eventually causing immune-suppression. The immune system can control cancer by identifying them from normal cells and then destroying them. Immune-therapy, i.e. boosting the immune system is considered another viable treatment approach towards the treatment of skin cancer. Curcumin, the major turmeric constituent is known for its immune-modulatory action on various aspects of the immune system. It boosts the immunity by regulating activation of immune cells (T-cells, B cells) which enables the body to fight various immunity-related diseases, including skin cancer. It means consumption of turmeric can boost the immunity of the body. The modulation of immune cells by curcumin enhances the capacity of the body to fight the skin cancer through better immune responses. The primary cause of skin cancer is ultra-violet (UV) radiation from the sun. UV rays damage the skin cells to cause cancer by causing mutations in their DNA as well as through immune-suppression. Many environmental pollutants act as carcinogens for skin cancer. Skin is readily exposed to these carcinogens such as benzene, ozone, heavy metals (eg. arsenic, lead), which may lead to skin cancer. A number of herbal compounds are known to protect the skin from UV ray, including turmeric. Its antioxidant activity prevents the damage caused by UV radiations by scavenging the free radicals. Its anti-inflammatory action also helps in this. In a study, turmeric extract application on skin has shown the protective effect against the damages caused by UV exposure. Turmeric is known to prevent chemical-induced skin tumors as well. In a study, dietary administration of turmeric significantly suppressed the skin tumours induced by a chemical DMBA (dimethylbenzanthracene). The essential oil of turmeric prevents mutations caused by chemical mutagens like sodium azide, nitrophenylenediamene (NPD) etc. Turmeric is also shown its protective action against the damages caused by arsenic in the body. Curcumin reduces the oxidative stress caused by arsenic and protects from DNA damage. It means use of turmeric can protect the body from the physical and chemical agents that can cause skin cancer. Turmeric prevents the damage caused by UV rays and other carcinogens to the skin cells by its antioxidant and anti-inflammatory action. The major therapies employed for the treatment of skin cancer are chemotherapy and radiotherapy. These therapies are known to cause mild to severe side-effects. 5-Fluorouracil (5-FU) is a chemotherapeutic drug which is used both, orally or topically in the treatment of skin cancer. Oral 5-FU causes severe toxicities to the heart, intestine and nervous system. Its topical application is also known to cause skin irritation and infections. Many studies have proven the beneficial effect of turmeric against these toxicities. Curcumin is known to protect the intestines from the damage caused by 5-FU treatment. The antioxidant and anti-inflammatory activities of curcumin play a protective role against various adverse effects on the heart and nerves. Imiquimod is an immune-modulator used in the treatment of skin cancer. It is known to induce psoriasis-like condition. The application of curcumin gel significantly reduces the inflammation induced by imiquimod, due to its anti-inflammatory action. Radiotherapy is also known to cause side-effects such as radiodermatitis. Application of turmeric based cream on the skin ameliorates the condition and also reduces itching and pain. It means consumption of turmeric and its topical application can protect against a number of mild to severe side-effects caused by chemotherapy and radiotherapy. The dietary use of turmeric is well-known for its anti-cancer activities in numerous types of cancers. 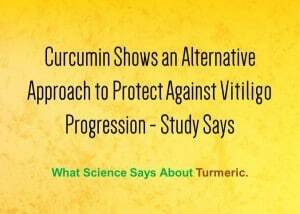 In skin cancer as well, dietary consumption of turmeric displays its protective effects. Dietary antioxidants prevent the damage to skin cells by quenching the free radical generated by exposure to UV rays or other carcinogens. Curcumin from turmeric works in the same manner and prevents tumour progression on the skin. Nowadays, the topical application of turmeric is also employed in the skin cancer treatment which has proven to be efficacious. A study was conducted to compare the efficiencies of the dietary and topical curcumin in a skin cancer model. It was observed that the topical curcumin was equally effective as the dietary curcumin in suppressing the tumour growth on the skin. It means for the treatment of skin cancer, topical use of turmeric is as effective as the dietary turmeric. So, turmeric paste or turmeric based ointments, gels or creams can be used to treat the skin cancer. The dietary use of turmeric is highly beneficial in preventing all types of cancer. For skin cancer, turmeric can be used in diet as well as for the topical application. High dosage of curcumin is needed for the cancer treatment. Therefore, the use of turmeric supplements is recommended. A dose schedule can be followed by skin cancer patients from the article Turmeric/ Curcumin Dosage for Cancer: A Scientific Plan. Golden Paste is another good option for turmeric’s dietary use. It is a paste made from fresh turmeric or its dried powder combined with black pepper and healthy fats. Turmeric intake should be started off with lower doses (1/4-1/2 teaspoon per day for a week) and can be elevated gradually over a few weeks to 2-3 teaspoons per day, if no side-effects are detected. If not taking Golden Paste or turmeric supplements, turmeric intake is highly valuable in the regular diet to prevent and treat skin cancer. Turmeric powder or fresh root can be used in soups, rice dishes, smoothies, curries or other dishes. Half-an-inch of fresh turmeric root or its juice is also a good way of taking in turmeric. Turmeric can be applied topically by the skin cancer patients on the affected areas of the skin. A patch test should be conducted prior to the use. If no side-effects are observed turmeric can be applied regularly. For the topical application, turmeric powder should be mixed with oil, preferably coconut or olive oil. After applying this mixture on the affected area, it should be left for at least 30 minutes and the areas can be covered with gauze, if needed. This should be repeated 2-3 times a day for best results. Some good brands of organic turmeric can be found at our recommendation on best organic turmeric brands. A general precaution is outlined that turmeric may have drug interactions with stomach acid reducing medication, antidepressants, blood sugar reducing drugs etc. Curcumin found in turmeric is known to interfere in drug metabolism. Hence it is advised not to take curcumin supplements concomitantly with any other medicine. Consult a health practitioner before taking turmeric supplements for skin cancer. Turmeric is an extremely beneficial natural product against skin cancer. Its diverse biological properties not only can treat the different types of skin cancer but also can prevent their occurrence. The antioxidant and anti-inflammatory action of turmeric checks the damages caused to the skin cells by a number of carcinogens, most notably the UV radiation that has potential of causing cancer. Moreover, turmeric protects the body from various side-effects caused by conventional treatments against skin cancer. Furthermore, the topical and dietary turmeric are equally efficacious and thus, provide diversity for turmeric use against skin cancer. Hi, I wonder if the use of the green tea extract topically would be bad for the liver as I keep hearing it is if you take green tea extract supplements? Would the apple cider vinegar/tumeric/green tea extract formula work without the green tea? Hi Marcia. Oral turmeric/curcumin would be the best route and the case report cited in the link you had given also reports how high dose curcumin supplementation successfully treated life-threatening infantile hemangioendothelioma of the liver in a 6-month-old infant. But your granddaughter is too young to start her on dietary spices. Hope this was of some help. I must try this technique. I always prefer older people to consume the turmeric powder which is only and best solution to fight with Diabetes, Arthritis, Lower down cholesterol levels and sort out liver ailments.It works as an antioxidant, anti-inflammatory, anti-bacterial and anti-viral agent. It is curcumin that gives turmeric its potent healing properties. Hi, I have just been diagnosed with Basil skin cancer on my nose and it’s really small right now. I have been reading the others with skin cancer and using the Turmeric. I am looking into this now. Any suggestions would be helpful. I was diagnosed few years back with Fibroids possibly by a ER doctor and not treated properly and also been tortured with what like believe is a very large tape worm of some sort and been on herbs and even poison to kill it and Heavy detox for over a year now which has cost me thousands of dollars. I feel the tape worm or whatever it might be has caused the skin Cancer to pop up. I could feel something on outside of my body for long time as well inside. Not one doctor l saw for several colon checks and scope nothing showed up but could sure feel it. Hospitals either would help. I am 100% they know and just don’t care enough to have taken it out and now have this new skin cancer showing up. Please help give me advice on this new development which truly l didn’t need. I have had about 6 car accidents and lost a child and also know while l was a child soldier trained and off l went to Vietnam back in early sixties that l was also exposed to Agent Orange and does cause Skin Cancer and other forms l am sure. Been fighting the government over 20 years on this soldier thing in courts and I Want Answer’s to what the hell l was doing in Vietnam as a child trained by Canadian and American Government’s. This part of what l went through is the very reason l am having trouble with my Gut and some forms of parasite and skin issues! Please if you have heard of others with similar issue’s please let me know. The supplements may benefit in parasitic infection as well. You can also include turmeric in diet as Golden Paste. Did you have any success? I have a similar problem on my nose. Would be interested in your experience…. I’ve had great success with Turmeric in treating multiple Ovarian Cysts, a Carcinogenic Fibroid and Endometriosis. In the space of 7 months, straight after being diagnosed with the above (after scan in Dec 2015) I started taking a high strength Turmeric capsule almost everyday. Since the most recent scan in July, my Radiology scan results report: “No current evidence or appearance of any Cysts, cancerous or otherwise, no evidence of Endometriosis, Fibroid now appears to be significantly reduced to less than 1/2 the size of its first appearance”. All my blood tests had gone from abnormal to in the healthiest range of normal, and my Cancer Marker had gone way down to a now “not at risk” level. My Doctor was amazed at the results, as we had both thought (before reading the new results) that I’d be on the operating table again inside of a month. But this is not to be. Instead, I’m to have another Scan in 6 months to see if there is any further improvement. I am no longer considered at risk of any cancer. Thank you for sharing your feedback. It is amazing to hear about your success with turmeric. what kind of turmeric are you taking and how much? Hi Joan, My husband has metastatic melanoma and has had great success so far with immunotherapy, 11 months since diagnosis. We had a dermatologist recommend turmeric supplements, that MD Anderson is giving them to their patients, but we asked our team of oncologists and they said not to take it, that immunotherapy is trying to boost your immune system and turmeric would be trying to suppress it. So for now we are happy to follow medical advice but if there is new research out there that supports taking turmeric alongside immunotherapy I would be willing to listen. I hope this note finds you well and wish the best for you. I am a 2 time survivor of melanoma. Stage 3 and stage 1. I took interferon (immunotherapy) in 2001-2002 and beat the statistics for survival. At the time only 15% made it past the 5 year mark. Immunotherapy DOES work!! My 2nd melanoma in 2005 was detected very early so I only needed major surgery to defeat it. I am 11 years cancer free and 15 years out from the stage 3 diagnosis. My doctors at Moffitt Cancer Center in Tampa FL were amazing. As rough as interferon was (and the lifelong side effects that I now have), I would do it again. Yes this is an interesting point. There has been research which shows that curcumin is beneficial in terminating melanoma cells but it may interfere with immune responses. However some studies show that curcumin can strengthen immune responses in fighting cancer. Dietary turmeric is unlikely to cause any problem and instead would help fight cancer. You can take Golden Paste at a dose of 1/4 to 1/2 tsp a day and then increase the dose gradually. Avoid taking it near consumption of medicines and best taken with meals. 3cc was a watery solution, not a paste and my curcumin capsule was granular and didn’t dissolve. Can you mention the brands you used, it seems as if 1/2 cc of ACV would be plenty. Thank you for posting! Hi Peral, thanks a lot for appreciating my modest effort with the portal. TUG is just amazing, the admins are awesome and community is so helpful. Regarding your query, I am not sure how much help Bentonite clay can do. It is for sure good for skin disorders such as eczema, etc. Are you already trying it or will be doing it now? Please keep me posted. 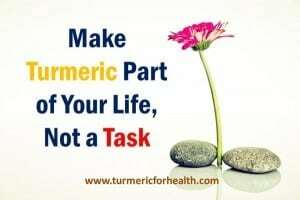 I am interested in tumeric as a cream/paste to prevent/possibly slow down early skin cancerous cells. Is there any update on this story? Does anyone know where I might be able to find a recipe to make the cream or is there a cream on the natural medicine market? Hi Jane. I have successfully treated basal and squamous cell carcinomas (skin cancers) on myself, as well as removed two small genital warts on a friend, using this recipe: 3ml of Apple cider vinegar into which is added 1 capsule of green tea extract and 1 capsule of turmeric extract. The capsules are purchased in bottles and there are many brands out there; choose a strong extract. Make new batches as you need them. I make the watery paste in a narrow amber glass bottle that’s about 2 inches tall. Both turmeric and green tea extract are potent surface cancer removers and even better when combined. Once you have the watery paste ready, wash and scrub the problem skin patch. Shake the mixture well before use, and apply the wet paste thickly to the gauze part of a bandage and put that over your cancer or wart patch overnight for at least 12 hours. Take it off in the morning. Repeat this process using the bandage at night every second day for 14 days and the problem should be gone! You’ll notice that after just a day or two the problem skin patch (if it’s actually cancerous or HPV warts) will turn a very dark crusty brown while the rest of the skin doesn’t react like that to the paste at all. Whenever the dark crust gets loose after a few days I gently peel it off to enable the paste to get at deeper layers so that no cancer cells are left behind. I have only ever tried this on small patches of skin smaller than the size of a dime. It may sting a little for a few minutes when first applied, generally just the first two or three times. After that the patch will be mostly gone. The majority of the problem cells are killed in the first 3 or 4 days of treatment and after that the reaction is just getting the last few problem cells left. Turmeric spice paste also worked applied to filiform warts just inside a nostril (without using the apple cider vinegar, just the turmeric paste). Best of all, there’s been absolutely no sign of any of these skin conditions returning, and at this point it’s been a few years with no recurrence! I’m currently treating a small carcinoma plaque on my right calf that I’ve had for over two decades and it’s about 80% gone now after just six days of treatment! FYI: If the patch is not actually a wart or cancer your skin won’t react to the paste and won’t develop that dark brown crust. It’s amazing how specific and effective this treatment is! Hi Erin, Please tell me – what brand turmeric and green tea extract capsules do you use? Can this be applied to an open cancer growth (one that is on the surface, oozing, painful ..)? Some topical cancer treatments make things swell before they go down, is this the case with the Apple Cider Vinegar / Tumeric / Green Tea Extract? I wouldn’t think so – I would think it is the opposite, anti inflammatory, makes things go down right away. Just wanting to know what to expect though. Thank you so very much. Hi Erin, you sound so smart. I would love to talk to you, phone, e-mail??? I am fighting squamish cell cancers in my legs below my knees. I have been making a paste of Turmeric, oil and pepper. So far I haven’t seen any change in them. I am a very healthy 71 yr. old and I feel like this cancer is going to kill me. I have biopsies— mohs surgery — and then more come. I decided I am done with these doctors!! I want to do it myself, like you did. I wonder if it is okay to give you my e-mail address and maybe I will hear from you. I guess it won’t if you no longer get on this website. It is [email protected] just in case you get this. Hi Bev. 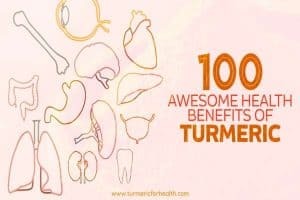 Are you using good quality organic turmeric powder? How frequently are you applying the paste and for how long. Do not include black pepper for topical application. One addition that you could make to the topical paste is to find standardized 95% curcumin powder and add it to the paste. You could also break open capsules for the same. We have a guide on dosage for oral curcumin and cancer that might help you. Erin, I tried your recipe to cure a squamous skin cancer on my leg and was getting good results, but after two weeks of treatment it was still not healed, so I gave up. Did I give up too soon? Also, I would like to know if you used the type of curcumin which contains pepperine for better absorption. This would be helpful to know as I am considering using your curcumin treatment again. I am trying to avoid mohs surgery. You can make a paste of organic turmeric powder in olive or coconut oil and apply it topically. Conduct a patch test prior.